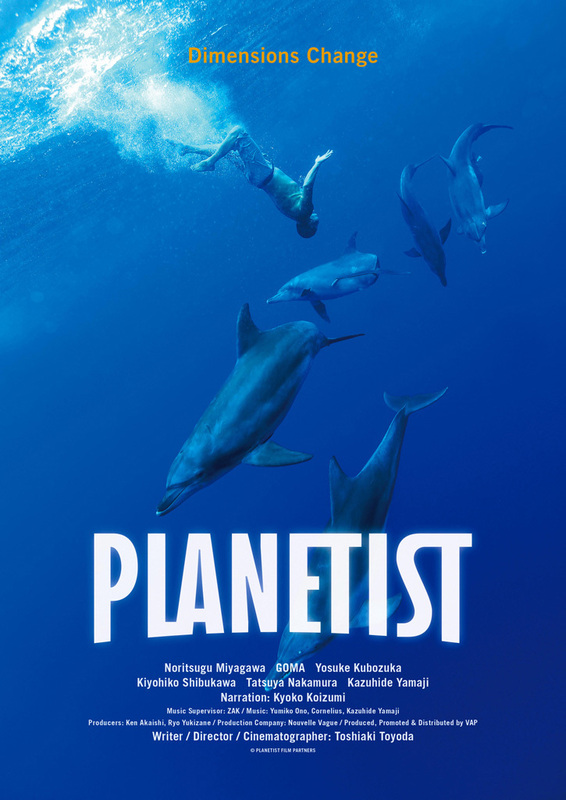 Film director Mr. Toshiaki Toyoda’s monumental documentary movie "PLANETIST" will be premium screened at “Tokyo Filmex Film Festival” on November 25th, ahead of next year's release. Mr. Toshiaki Toyoda kept going to the Bonin Islands to make this documentary movie and it took 5 years. All the tickets were sold out and the premium screened at "Tokyo Filmex Film Festival" was finished with a great success. Mana Nomoto was in charge of the underwater scene of dolphins and a part of shooting. “PLANETIST” will be presented to the public from May 2019!